MAC Punk Couture Sneak Peek! 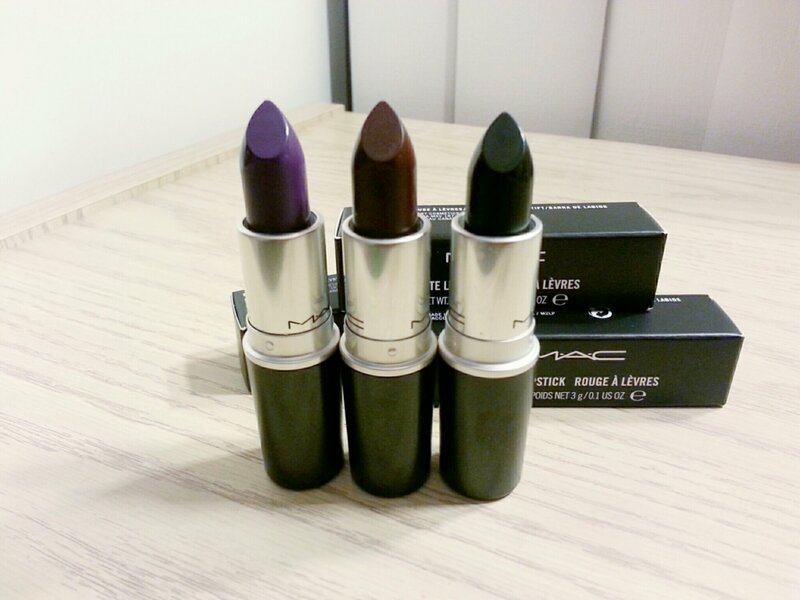 I got my MAC Punk Couture lipsticks early! Nordstrom accidentally launched these babies early with a ship date of December 23 so I “preordered’ Punk Couture, Instigator and Hautecore. I guess it wasn’t just a preorder because I received a shipment notice two days ago and here we are! I’ve been vamping it up since the start of fall so I’m really excited to play with these new colors. They’re so unique! I don’t have anything like them in my stash. Punk Couture is a deep violet. 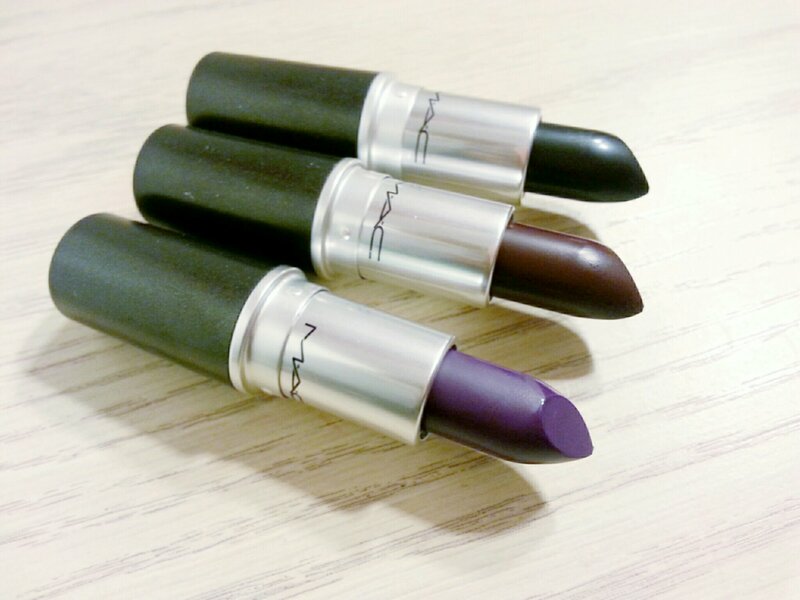 Instigator is a blackened plum. Hautecore is a true black. My favorite so far is Punk Couture. It’s beautiful! Punk Couture won’t be available for you ladies to purchase until December 26 but I’ll be posting more swatches and reviews soon to help you with your purchase. I haven’t even tried these on yet because I was so eager to share with you ladies but enjoy the swatches in the meantime! ← Hello Again, RiRi Woo! I NEED Punk Couture! Thanks for the swatches. Do you think you’ll wear Hautecore? I’m still debating on that one. You’re welcome Vee! I tried Hautecore on first and I actually like it. I don’t think I’ll wear it very often but I’m going to get good use out of it. I really want to use it to darken my other lippies! I definitely think you could! You always look great in vampy shades! I was a little nervous about these lippies but I really like them so far. Check them out in store on the 26th! I really like punk couture and Instigator. I love darker lippies but I think hautecore would just be sitting in my lip basket like MAC peacocky. I’m trying to get myself not to do that lol. It’s a little patchy but still very pretty and it’ll darken up other lippies nicely. I hope you order Punk Couture and Instigator though! You’ll love them! Wow, LOVE LOVE the colors, especially the purple. Omg Instigator is so pretty! Exactly the kind of color I’m obsessing over these days. Thanks for that tip in your comments about Hautecouture because I want it but I seriously don’t think I’d wear it. Aren’t they so pretty! I can’t get enough of them! Hautecore I’m going to force myself to wear lol. When I put it on and showed my mom she didn’t freak out or make a crazy face. She did say whoa LOL. But later said it looked cute. I think anyone could pull it off. It just takes the right look! Instigator and Punk Couture are everything if you’re a purple lover! 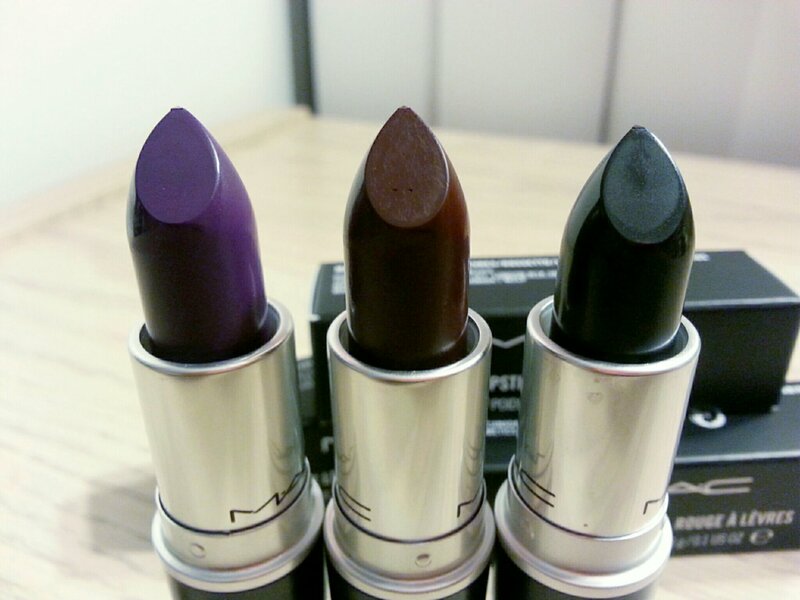 I just ordered my Heroine lipstick yesterday. I can’t wait to get it! I don’t think Punk Couture will sell out as quickly as MAC’s usual limited edition collections. The colors are dark, vampy and bold which won’t be everyone’s cup of tea. Good luck though!